There are two things which strike you when you first meet Nkosi; she is as tall and as lithe as a model, and she radiates a confident, cheerful and infectious personality. This is a far cry for “numbers” people who are normally, in my experience at least, quite reserved and serious. Not that Nkosi is not serious about her job at SAFE, she is. After all, she has a job that entails performing a set of accounting tasks as long as my arm. Born in Bulawayo, Zimbabwe in 1992 Nkosinomusa Moyo, Aka “Nkosi”, lived in London, England with her family for four years then moved back to Zimbabwe where she lived for eight years before moving to South Africa. Simiso, both have university doctorates, Nkosi had no choice but to make a success of her life. Her love for figures was clearly nurtured by her father, a Senior Lecturer (Maths) and Deputy Dean (Faculty of Science) at the University of Venda in Limpopo. After earning a BCom Accounting and BCom (Honours) in Management Accounting at Rhodes University in Grahamstown, she obtained her Certificate in the Theory of Accounting (CTA) through Unisa, followed afterwards by three years of articles to earn her qualification as a Chartered Accountant (CA)(SA) last year. Her appointment at SAFE a year ago, she says is her first “real job” and she loves every minute of it. “I have always had an interest in anything to do with numbers,” says Nkosi although with an interest in Science and Biology in high school, she almost ended up becoming a pharmacist. 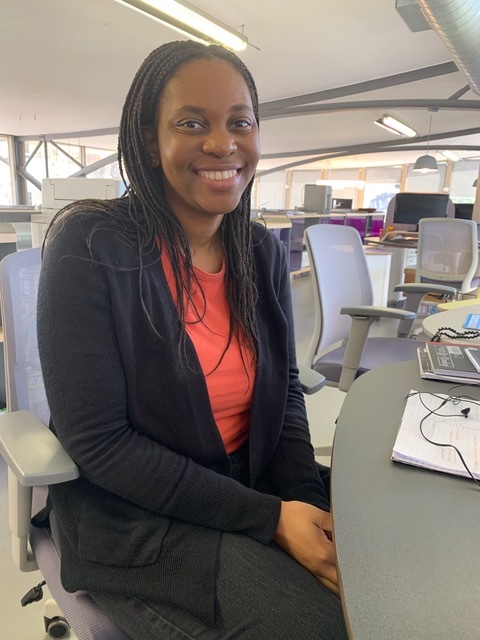 As group accountant at SAFE, working closely with CFO Quentin Scott, Nkosi says she focuses on “facilitating the flow of financial information within and outside SAFE”. This includes everything from financial reviews of trial balances and the drafting of monthly management accounts to the preparation of forecasts of non-production costs. She also liaises with the auditors, company secretarial officers and tax compliance officers, keeping SAFE financially and legally compliant. Nkosi says she finds SAFE offers staff an empowering work environment – free of micromanagement – that can so easily stifle creativity. “SAFE encourages work flexibility, in the sense that when you are given a task with clear and specific deliverables, you have the room to perform that task in the way you see fit. This allows us to work at our optimum level and give our best to the company. “A balanced life,” says Nkosi, “leads to happiness. You need to balance your spiritual, social, work and academic interests to keep you motivated in life.